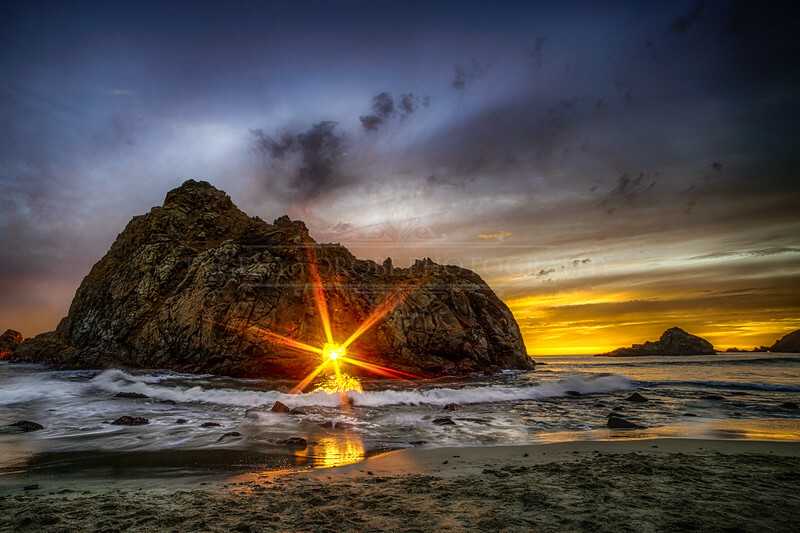 The sun shining though Arch Rock in Big Sur up the California Coast. This event only occurs a few weeks a year and is one of those highly sought after pictures by landscape photographers. Please click "Buy Photos" to purchase prints, metallic paper print type recommended. Watermark will not appear on purchased prints.